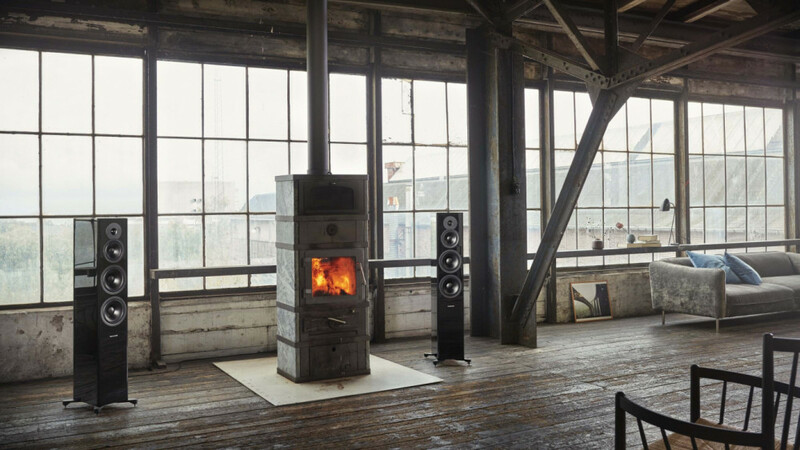 If a pair of Evoke 50s in a room doesn’t say “statement of intent”, we don’t know what does. Use them in stereo. Use them as part of an Evoke multi-channel home cinema system. However you listen to them, the word ‘epic’ won’t be far from your lips. Evoke 50 is a full three-way floorstander with a 28mm soft-dome tweeter, a 15cm neodymium midrange driver and twin 18cm woofers. 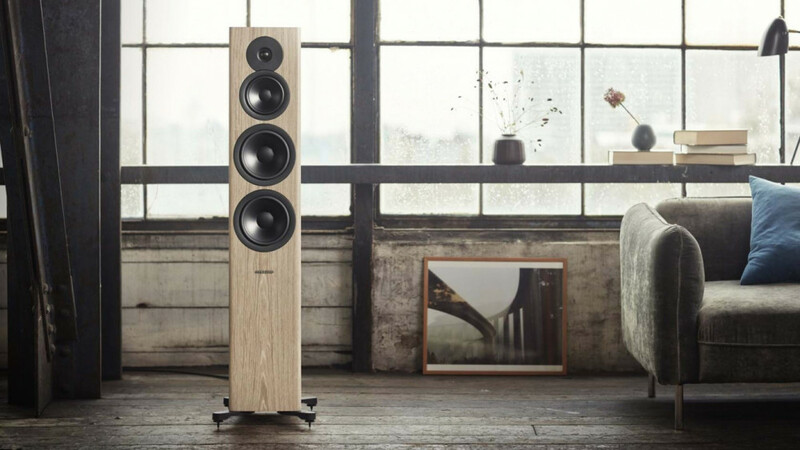 Come in on a high noteEvoke 50 features Dynaudio’s newest tweeter: Cerotar. It’s a brand-new, ground-up design that uses key technologies from the award-winning Esotar Forty anniversary tweeter, the awesome new Contour series and the all-singing, all-dancing tech-fest that is the all-new Confidence. Our engineers are very proud of it. As well they should be. Just underneath the precision-coated dome sits an inner dome: the Hexis. This ingenious device is close enough to the back of the diaphragm that it stops unwanted resonant frequencies reflecting back to the rear of the playing surface. It smooths out the frequency response for clearer, cleaner, sweeter treble – meaning more detail, and more of those “hey, I don’t remember there being a triangle in this piece of music!” moments. The Cerotar is powered by a brand-new strontium carbonate Ferrite+ ceramic magnet system. That gives it more sensitivity, which, in musical terms, translates simply to ‘honesty’. You’ll hear just what you’re supposed to hear. And because it’s so smooth and natural, you can listen for hours without getting tired. Big bottomDown at the bottom are two 18cm Esotec+ woofers. Like the Cerotar tweeter, they use trickle-down technology from the Contour and Confidence families to bring as much of that high-end DNA to Evoke as possible. But while the Evoke 20 standmount speaker uses aluminium in its 18cm woofer, Evoke 50 uses copper. That’s because these are pure bass drivers – they don’t need the fleet-footed agility of a dedicated midrange unit, so we were able to give them more moving mass. The 0.4mm diaphragm is the same, though, as is the Ferrite+ ceramic magnet. That means power and detail. It’s just one of the solutions arrived at through extensive analysis and simulation in our Jupiter measuring facility. Each speaker cone is crafted from a single piece of MSP. This makes them exactly the right amount of rigid – and means far less physical distortion when they’re playing. It also gives a super-solid physical connection to the glass-fibre voice-coil former on the back (it’s glued directly under the Balance Ribs you’ll see around the centre), which means more of the coil’s motion energy is transferred to the diaphragm. Nomex spiders keep everything centred and moving the way it should, while the new Contour-derived surround allows a longer throw ratio for greater punch. And, for extra versatility – if you rearrange your room or move house, for example – the rear-firing bass ports have two-part foam plugs. They offer three levels of tuning: fully open, half-open and fully closed, so you can tailor the speakers’ bass performance to their position and your room. Dedicated midrangeEvoke 50 is the only speaker in the family to have a dedicated midrange driver, so the engineers in Dynaudio Labs decided to make it a little bit special. The 15cm unit they chose is derived directly from the high-end Contour range – which means a powerful neodymium magnet, a 0.4mm-thin diaphragm and a glass-fibre voice-coil former with a trademark Dynaudio aluminium voice-coil. Why neodymium and not the Ferrite+ of the woofers? Because it’s light, and it’s powerful. Why aluminium and not copper? Again, because it’s light (and lets us put more windings in the voice-coil for a given weight). That’s a combination that gives our team amazing control over how the driver responds – they were able to fine-tune it to integrate perfectly with the woofers and tweeter. In fact, the Evoke team did such a good job that you essentially are getting Contour-level performance out of this midrange driver. Simple, honest styleCreating a speaker this large without making it seem bulky and boxy is no mean feat – but lead designer Louise Dalgaard met the challenge head on. And then she knocked it out of the park. Evoke 50 was the first in the range to be committed to paper (and then to 3D modelling program, to clay model, to full MDF prototype and finally to The Real Thing). Louise and her team were adamant that Evoke 50 had to be realistic for real homes and real lives. They drew inspiration from furniture designers, interior-design showcases, show homes, and even sniffed around real-life dwellings to get the look just right. The result is an instant classic. It’s modern, retro, timeless and cutting-edge all at once. It’s the kind of speaker you’ll still be looking at in 30 years, and thinking to yourself that it makes the rest of your belongings look a little humdrum by comparison. Evoke 50 is available in four beautiful finishes. Black High Gloss and White High Gloss both use a new lacquering technique that gives a gloriously deep, glass-like look. At the other end of the tactile spectrum are the lovely open natural veneers of Walnut Wood and Blonde Wood.